Last year, around this time, as I was preparing a sermon on Whitman for the Dublin congregation, I came across an obituary in the Guardian for Professor Dennis Freeborn, who had just died aged 85. Coincidentally, it was Dennis who introduced me to Walt Whitman as part of a course he was teaching on American literature. However, my first encounter with Whitman wasn’t very fruitful. Determined to wade my way through Dennis’s reading list before the course began in the autumn, I’d borrowed a copy of Leaves of Grass from Pontefract public library in the summer of 1964, but I didn’t get past the first ten pages. It just didn’t appeal to me. It wasn’t until twenty-five years later, after I’d become a Unitarian and noticed that Whitman’s name kept cropping up in Unitarian books and sermons, that I determined to have another go at his poetry. How different was my response this time! I began to appreciate what Dennis had been saying about Leaves of Grass all those years before, and why Unitarians felt that Walt Whitman was one of their own. Since then, I’ve read these poems again and again, and quoted them often in my sermons. It’s important to stress, however, that no matter how congenial Unitarians find Walt Whitman, he wasn’t a Unitarian. He came from Quaker stock, but he didn’t have any formal religion. The more one reads his work, the more one realises how inconceivable it would be for this free spirit to sit down in a stuffy church on a Sunday morning and listen to a preacher, Unitarian or orthodox. Walt would have taken spiritual sustenance elsewhere. But he did mix in Unitarian circles. Ralph Waldo Emerson, called the Father of American Literature, to whom he sent a copy of the first edition of Leaves of Grass in 1855, had been a Unitarian minister, and the Transcendentalist movement, to which Whitman belonged, was firmly rooted in the Unitarian tradition. And then, of course, there is his tangential association with this chapel, which has connections with a local Whitman society, which has been in existence, on and off, for over a century. In 1887 two Bolton men, J.W. Wallace and Dr. John Johnston, sent birthday greetings to Walt, and to their great surprise and delight, he responded, and a regular correspondence – over one hundred letters – ensued, until the poet’s death five years later. Now, on the nearest Saturday to Walt’s birthday, 31st May, there’s an annual Whitman walk, in which participants wear sprigs of lilac, Walt’s favourite flower, and make frequent stops to read from Leaves of Grass and to drink from a ‘loving cup’. On the Sunday following there is a service in Bank Street Chapel, to commemorate the Whitman Society’s association with the Unitarian movement. What is it in Whitman’s poetry that was so appealing to the Unitarians of 19th century Lancashire and to contemporary Unitarians worldwide? One reason is his independent, almost revolutionary, spirit. His poetry, in both style and content, is radically new. His verse is free, direct, accessible, untrammelled by conventional decorative features such as rhyme and rhythm. Emerson recognised that Whitman’s was the first authentically American poetic voice. Before him, American writers, including Emerson himself, had copied European models, but Walt struck out on his own. ‘Resist much, obey little,’ his words of advice to the American states, could be taken as the motto of his own life and his own work. Whitman was an innovator and a freethinker. He espoused ideas which were way ahead of his time. He was almost certainly bi-sexual, and many of his poems celebrate sexual love in ways which would have seemed pornographic to Victorian society on both sides of the Atlantic. In fact, one early reviewer of Leaves of Grass called it ‘a mass of stupid filth’ and another thought that the author was rooting ‘like a pig through the rotten garbage of licentious thoughts’. In 1865, Whitman was fired from a job because his employer thought his poetry to be outrageous, offensive, and ‘in violation of the rules of decorum and propriety prescribed by the Christian religion’. Read the whole of Song of Myself, from which these few lines are taken, or I Sing the Body Electric, and you will get some idea of why Whitman so outraged the polite society of his time. Walt was a radical. He was also a humanist. I use the term loosely, to mean one who celebrates humanity in all its diversity and richness, high and low, black, white, red and yellow, male and female, young and old. And I salute all the inhabitants of the earth. Each of us here as divinely as any is here. Who am I too that I am not on trial or in prison? Me ruthless and devilish as any, that my wrists are not chain’d with iron, or my ankles with iron? Who am I that I should call you more obscene than myself? O culpable! I acknowledge – I exposé! And henceforth I will not deny them - for how can I deny myself? In another poem, To a Common Prostitute, he displays the same kind of tenderness that Jesus shows in his encounter with the woman taken in adultery, and there have been many attempts to portray Whitman as a semi-divine figure, as an elevated soul on a par with the great visionaries of the human race such as Jesus and St. Francis, and not without some justification. Maurice Bucke, in his book Cosmic Consciousness, considers that the human race throws up spiritual geniuses from time to time, men and women who achieve a higher level of understanding and insight than the rest of us. Bucke, who knew Whitman personally, thought that he was probably the highest manifestation of spiritual genius that the human race had produced so far. According to Bucke, these exceptional people experience an epiphany, a fleeting moment of transcendence, in which their whole life is transformed, and from that moment on they exhibit certain identifiable qualities: they are no longer afraid of death because they see themselves and every human being as an eternal, deathless soul; they desire no personal glory; they become gentle and sweet-tempered, modest and non-judgemental; they perceive that life is not accidental or meaningless, but part of a mysterious process which began long aeons before this present incarnation and will continue for long aeons more. This was Walt’s epiphany. He doesn’t say when it occurred, but his poetry is suffused with a mystical vision which obviously stems from this experience, and his life is coloured by the gentleness, modesty and self-sacrificing love which characterises all the human race’s greatest heroes. During the American Civil War, he went to the front to help nurse the wounded. Whitman is wonderful. He has given me dozens of sermons and helped me through difficult times. 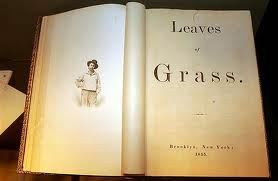 When I was sick nine years ago, Leaves of Grass was just about my only reading. I do recommend him to you, although I also appreciate that he’s not to everyone’s taste, and I advise you not to try to read it all at once. Start with Song of Myself, which is one of the early sections of Leaves of Grass, or The Song of the Open Road (extracts from which we read earlier) and dip into it, savour it, reading a few lines at a time; and read it with a pen or a pencil in your hand because you’ll find yourself underlining memorable bits all the time. Like the Buddha, Whitman saw himself merely as a finger pointing at the moon. The universe is ‘a road, many roads, roads for travelling souls,’ says Walt, but we must not let the personality, genius and achievements of the guide deflect us from finding and following our own unique path. Whitman, W., Leaves of Grass, Introduction by Justin Kaplan, Bantam, 1983, page xxii.